Wingbeat Warrior inkl. 0% MwSt. 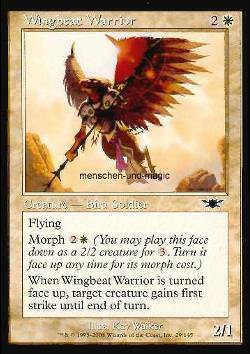 Kartentext: Flying.Morph 2W.When Wingbeat Warrior is turned face up, target creature gains first strike until end of turn.